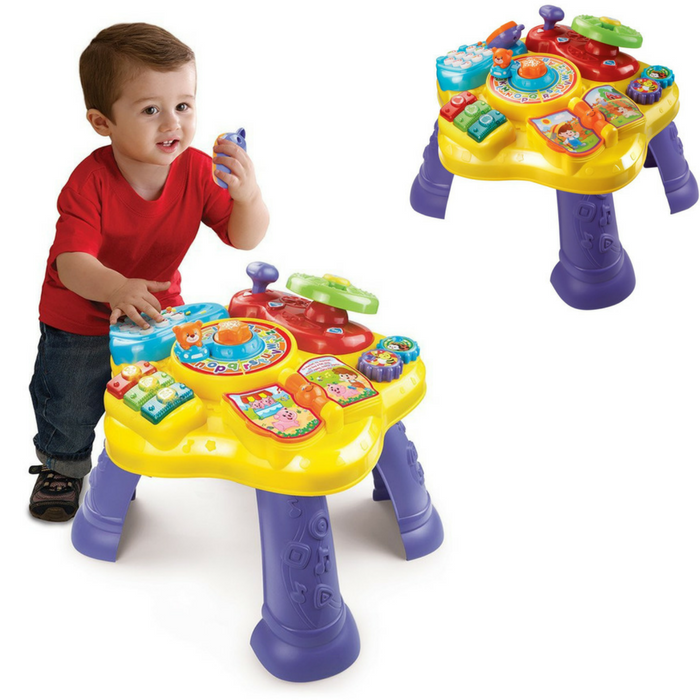 VTech Magic Star Learning Table Just $21.66! Down From $31.63! You are here: Home / Great Deals / Amazon Deals / VTech Magic Star Learning Table Just $21.66! Down From $31.63! Head over to Amazon where you can score VTech Magic Star Learning Table for just $21.66 down from $31.63 PLUS FREE shipping with Amazon Prime or for orders over $25! The Magic Star Learning Table by VTech features six fun activities in English and Spanish that encourage your child to explore and learn. Turn the steering wheel to drive the bear around the activity table, flip the book page to hear nursery rhymes and turn the gears to strengthen fine motor skills. Press the light-up music buttons to play music and learn about colors. Then, pick up the pretend phone and press the number buttons to call animal friends. Remove the legs, and the table can also be used as a floor play toy.